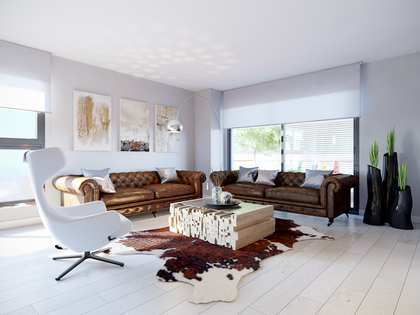 Lucas fox proudly offer a great selection of prime real estate for rent and sale in Ciutat Diagonal, a desirable residential area of Esplugues de Llobregat, close to Sant Just Desvern. 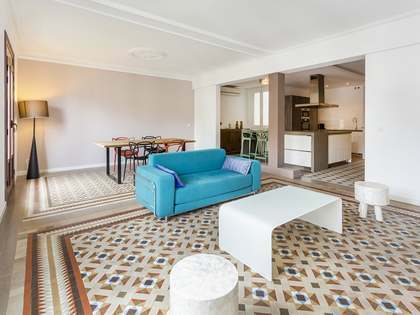 Sant Just is a small upmarket town with all amenities, located just minutes from Barcelona’s Avinguda Diagonal and the exclusive Pedralbes neighbourhood of Zona Alta, with a bus service every 15 minutes to the university area. In the nearby centre of Sant Just you will find numerous shops, restaurants, cinemas, fitness centres and medium-sized businesses which have helped contribute to the wealth of the town. The reputable American and German schools in the area attract many international clients with children to this part of Barcelona and, over the past few years, a considerable international community has established itself in Ciutat Diagonal, making this a great place to relocate to and make friends. Another factor that adds to the excellent quality of life enjoyed here is that the neighbourhood is backed by the Collserola Natural Park where you will find jogging, walking and cycling tracks and the opportunity to get in touch with nature after returning home from a long day in the city. If you are looking for a place to settle that offers natural surroundings and green views, easy access to Barcelona City and its airport, magnificent luxury homes and excellent modern infrastructure, Ciutat Diagonal ticks all the boxes. 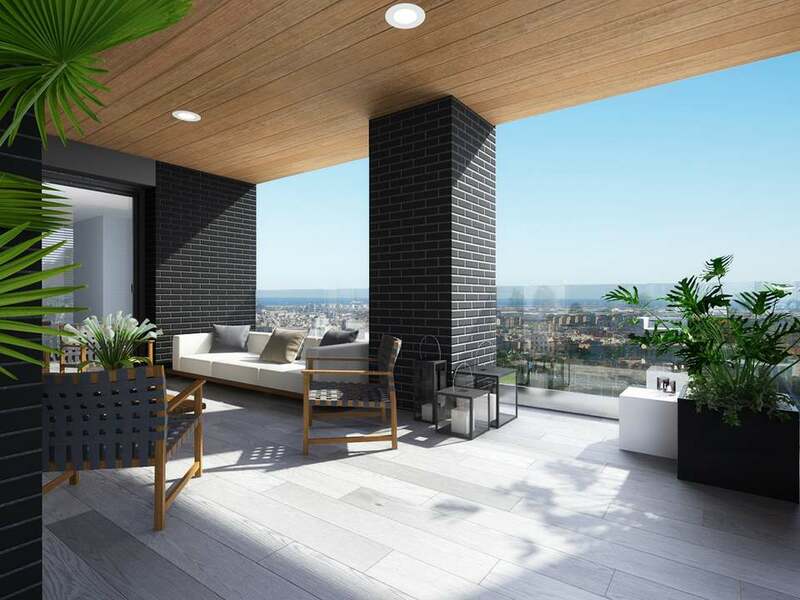 The houses for sale in Ciutat Diagonal with Lucas Fox are located in the most exclusive parts of the area, surrounded by nature and with fantastic views. 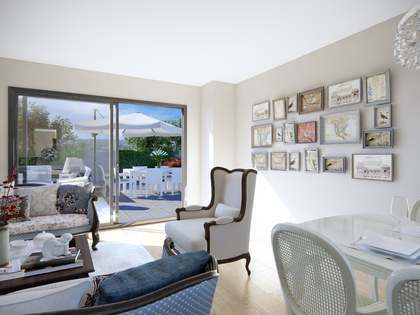 Spacious rooms with large windows, dressing rooms, bathrooms with jacuzzis, offices or libraries and gardens with porches or infinity pools are just some of the features of our exclusive properties in Ciutat Diagonal. 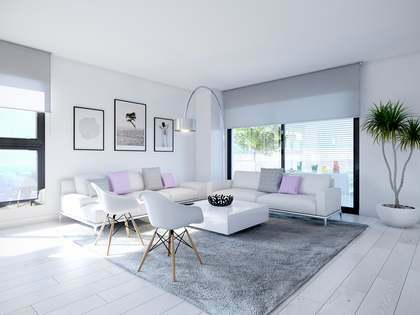 Within our array of Ciutat Diagonal real estate for sale, you can find luxurious penthouses, apartments and spacious modern villas, built with top quality materials or completely renovated to the very highest standard. Some of these houses also have added extras, for example, tennis courts, state-of-the-art home automation systems, lounges with fireplaces, games rooms or chill out areas, to name just a few. Occasionally plots for sale in Ciutat Diagonal come on to the market and offer the client the opportunity to tailor the design of the home to their personal needs. Do not hesitate to contact the Lucas Fox real estate agents who can help you with any doubts when choosing the most appropriate home or the one that best suits your needs. Our properties in Ciutat Diagonal represent an excellent investment opportunity given that this area of the Baix Llobregat region is increasingly popular among buyers and tenants seeking high-end luxury homes. 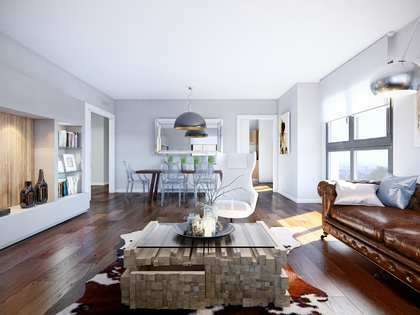 Our highly professional team of experienced international estate agents are on hand to show you our best homes for rent and sale in Ciutat Diagonal.